Blackcutwitch Designs: Our first monkey! 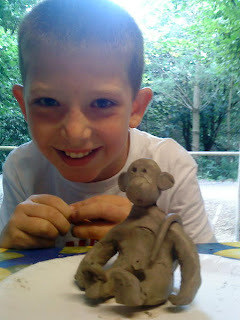 On sunday at greenwood forest park this young man made a lovely happy monkey with a little help. I was well chuffed, it's the first monkey we've made.